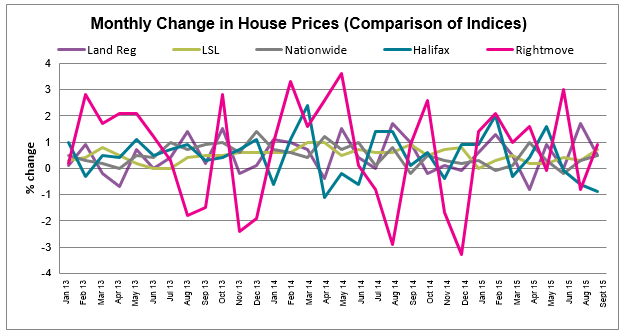 Strengthening demand driven by rising real earnings and low mortgage rates and continued tight supply mean the pace of house price growth is beginning to accelerate. Housing transactions are up in the past month. UK home sales increased by 3% between July and August to 106,480; the highest monthly total since February 2014 (according to HMRC data). Similarly, the volume of mortgage approvals, a leading indicator of completed house sales, increased 3% in August; the highest level since January 2014 (Bank of England figures). 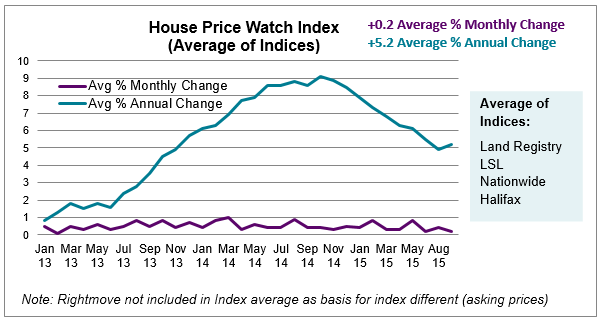 Housing demand has been increasing in recent months with improving economic growth and low mortgage rates. 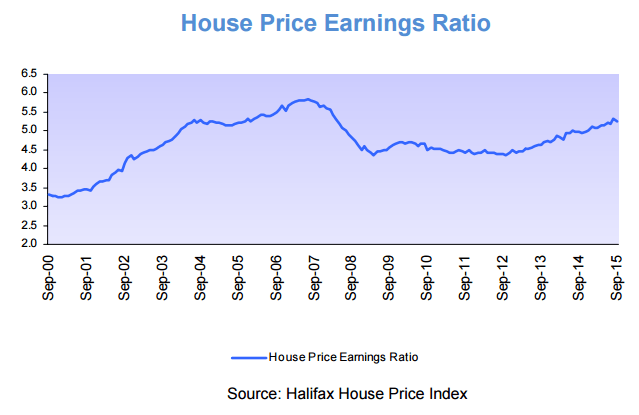 An analysis by Halifax indicates that real earnings in relation to house price growth has been improving over the past year. RICS surveyors reported a continued decline in the number of properties on their books again in August with the stock of homes for sale at a record low for the third successive month. Similarly, Rightmove report a 6% drop in the number of properties coming to market compared with the same period a year ago. 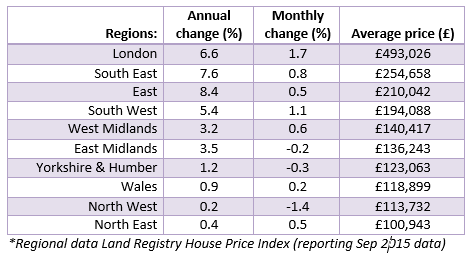 London experienced the greatest rise in house prices this month, followed by the South West and South East, while prices dipped in the East Midlands, Yorkshire & Humber and the North West.